Hey kids! It’s story time! Gather ’round the campfire. ONCE upon a time, there were two campers who were spending the night out in the woods up in Canada on a very chilly night. Ralph–the first camper–brought his 4X4 with him to the campsite but decided he’d sleep outside and look at the stars before falling asleep. So he got his gear all laid out, his sleeping bag unrolled and started building a fire. Ralph gathered up some dry sticks but he was pretty tired so he didn’t spend time going out to forage for some big pieces of wood for his fire. Besides, Ralph had a boatload of old newspapers in his truck that he wanted to get rid of. Using a little of the newspaper to get the fire started, Ralph had no trouble getting his pile of sticks lit up. Now all he had to do was keep feeding his newspapers to the fire and he’d be warm enough. Lucille, on the other hand, had set up camp about 500 yards from Ralph’s campsite. She too planned to sleep outside and look at the constellations. So she too went out to gather fuel for her fire to keep herself warm. Lucille had a more traditional approach. She had started setting up camp early so she would have time to forage for fire wood. 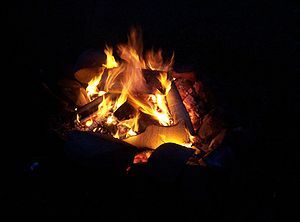 She took her time, enjoying her walk through the woods and finding nice hard wood–mostly hickory– to burn in her fire. She got the fire set up with tinder, kindling and the dry hard wood and went over to her VW Bus to grab some newspaper to start the fire with. Lucille had made a wonderful campfire! She liked it so much she took a picture of it! 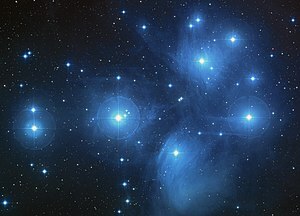 (The one at the top) And then she settled back in her sleeping bag gazing at the stars and adding a log here and there. Oh, it took a while for that campfire to really get roaring. But once the fire got going, it burned through the night and Lucille fell asleep and was warm all night long. Getting back to Ralph, Ralph did not have such a relaxing evening. In fact he was busy all the time and hardly had any sleep or fun looking at the stars. Poor Ralph. He would get that pile of newspapers and throw some on the fire and whoosh! Big flames! But they would die quickly and he’d have to go get more newspaper. Again a big flare up (very dramatic looking) and the big cool down. If Ralph was going to stay warm and get any rest that night, he’d have to think of something else. And he did. Ralph was a very bright fellow! Ralph figured it out that the newspaper was just too thin and burned too fast. So he went and got a really big pile of it out of his 4X4 and got some string and started rolling that paper up into tight, tight logs and tying them to hold their shape. Why those logs were denser than cardboard! And boy did they burn better! Ralph kept making those paper logs and they burned for at least twenty minutes each. The moral of the story here, kids, is that different types of fuel burn at different rates and sometimes the fuel that burns the longest also takes more work than the others but in the long run, provide the best fires. No, not the end! What am I thinking? There’s more I wanted to say. 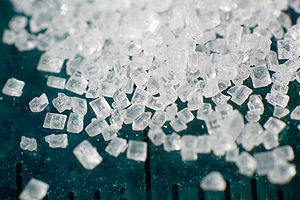 Oh yeah, I wanted to say that there is something more basic to know about eating sugar than just how bad it is for you. And there is something to know about another ingredient in many of our foods that acts just like sugar in your body. It is refined carbohydrates. How could these be the same? Well first you need to understand that sugar and starches (any kind of starches refined or not) are both carbohydrates and when you eat them your body breaks them down into glucose. The glucose then raises your blood sugar level and triggers your pancreas to secrete insulin to balance the blood sugar level out by sending the glucose to your cells to be burned off as energy. This is one of the two main ways you fuel your body. If you already have enough fuel in your cells and don’t need more at the moment, then the insulin tells your body to store the fuel for later in the form of fat. This is just the way your body works and there’s nothing wrong with that but you should understand it because it is also how carbohydrates got such a BAD reputation and why so many people think that they have to forego carbohydrates almost entirely in order to lose weight. Are they right or not? It all hangs on whether they understand the differences in the types of fuels they are using. A refined carbohydrate, such as white sugar, white flour and most of the gazillions of food products made with them provide fuel like Ralph tried to use at first. Quick energy, quick burn out. Blood sugar up, blood sugar down. Insulin up, insulin down. It’s enough to make you dizzy (maybe for real). And if you eat enough of these refined, processed carbohydrates, your cells have had enough and then all the rest of it get turned into fat. And you’ve got a cheap energy source that doesn’t last and that puts your hormones on a rollercoaster ride and yes, makes you gain weight. They invented all kinds of “healthier” food products like white sugar coated with molasses to make it brown – the ultimate color of “health” food. They introduced products with various types of sweeteners that sound much healthier than plain ol’ sugar and labeled them “natural.” They made breads with “wheat flour” in the ingredients and touted that it is “wheat bread” even though most all the white flour also came from wheat and could be called “wheat flour.” They even have foods with a percentage of unrefined carbohydrates (aka the hardwood logs that burn a long time) mixed in with the sugar and refined flour. And alas, a lot of these foods go right to the belly or hips for storage. Then there are some folks who know that if they stick to unrefined, whole grain foods, they can eat some carbohydrates with no worries. This is your hardwood fuel. This is the stuff that lasts a long time. Why? 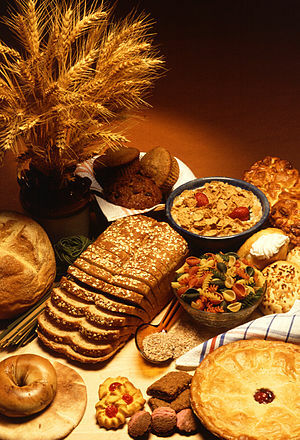 Because whole grains retain most of the layers of the grain which includes all the fiber and minerals and protein. (Yes, there is protein in things like brown rice and other whole grains.) Let’s take rice as an example. Unlike white rice which is stripped of all those good layers and burns faster than one of Ralph’s paper logs, brown rice breaks down slow and easy. It doesn’t cause a sudden increase in blood sugar level and trigger rapid increases of insulin. It’s a nice long, slow, steady burn that gives your body time to use it and not have to store it. Whole grains and unrefined whole grain flour are something we can really live with! They are a bit more trouble (but lots of fun) to prepare but they have so much more flavor and are so satisfying because they provide actual nutritional value and take a long time to burn. However there is more to this story saga. The more people spotted the fact that carbs might have something to do with gaining weight, the more they shouted “Low carb! No carb!” Food manufacturers had to do more than make paper logs–oops–I mean healthier sounding flour products and sweeteners. They had to take people’s attention off their carbohydrate products and enlighten the consumers about the evil fattening ogre–FAT! Why yes! Even the name “fat” is, well, “fat.” Perfect for the campaign. So the manufacturers themselves started the campaign against fat and even made their own brands of new and improved fat-free and low-fat products. Just listen to them explaining that fat makes you fat! It’s so easy to believe because, after, all fat is not what we want to be. And you are what you eat, right? So don’t eat fat. Who cares if fat is the other major source of fuel for your body besides carbohydrates? But they had a problem when it came to making these reduced and no fat foods. Taste. Ugh. Taking the fat out makes their food almost unappetizing. But they knew what to do! They knew what makes food taste great and what will make people come back to purchase them time and time again! Can you guess? And this, children, is how the Galactic War Between Fat and Carbs was started. And the war rages on and on. All the while, the clever food manufacturers and their henchmen have convinced you that you have to take a side in this War and that they, after all, are the experts who can “help” you to know what’s best to eat. And what of Ralph and Lucille? Well, they were only 500 yards away from each other at that campsite. Ralph was getting tired of making his paper logs and saw the light from Lucille’s strong, steady fire and went over to see what she was doing. Lucille was so vibrant and healthy, she glowed even brighter than her wonderful campfire. It was love at first sight. And after all, Ralph was trying to do something better than use loose newspaper–he was on the right track and innocently so (not like the food manufacturers). Lucille loved how creative Ralph was and she loved that fact that he openly showed her so much admiration for her fire-building skills. Soon they married and began eating unrefined whole grains and whole food together and spending many a romantic evening gazing at the stars together and cuddling before a beautiful hardwood fire. And they lived happily and healthfully ever after and they also became activists and protested the Galactic War Between Fat and Carbs every chance they got. And if you got all the way to the end of this big ol’ post and read it and understand it, then you are one smart cookie rice cake! This entry was posted in Food, Health, Lifestyle, Love and tagged Blood sugar, Carbohydrate, fat free, Flour, Insulin, low fat, refined flour, Sugar, Whole grain by mycookinglifebypatty. Bookmark the permalink. As a recovering diabetic (I’m in remission) I eat almond flour pancakes rather than use any grains. I have flax muffins (ala muffin in a mug) and can live quite nicely, thank you, without any grains at all in my diet. Hello! I understand that you had a very serious condition and took extreme action. Congratulations on your success in finding out what works for you. That is, after all, what we all need to do.